Hey! What do you know? It’s Friday! 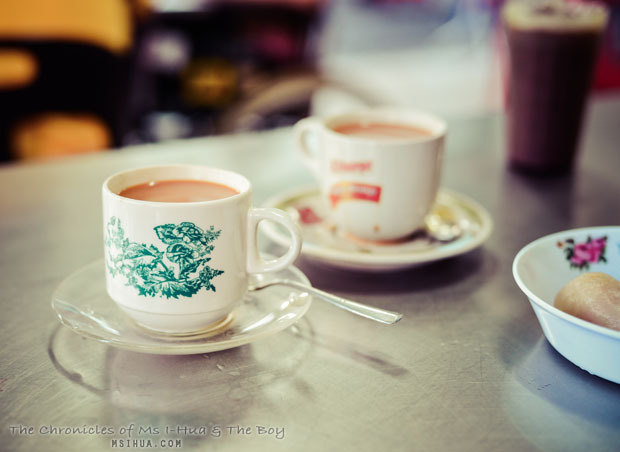 Which means this next instalment on our Layover posts for Penang (Part 3) is just in time for Flashback Friday! Wheeeeee!! So, in the first two parts of our Layover Posts (Part I and Part II) we covered a bit of food and a bit of sight-seeing. In this third post, we are back once again on the food trail. 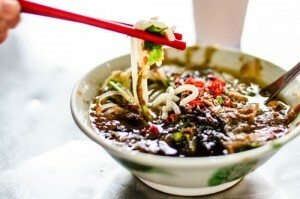 This time we focus on one of the many famous streets and areas of Penang. Remember, this is simply a layover stop, so we didn’t have the luxury of heading out to further destinations such as Gurney Drive and Pulau Tikus for food. What we had in the two days was centred mostly in the area of Georgetown. Welcome to food haven! So here’s a funny story. The story of how food obsessed my family is. We’ve been loyally and steadfastly following a Banana Pancake lady over the years in Penang. 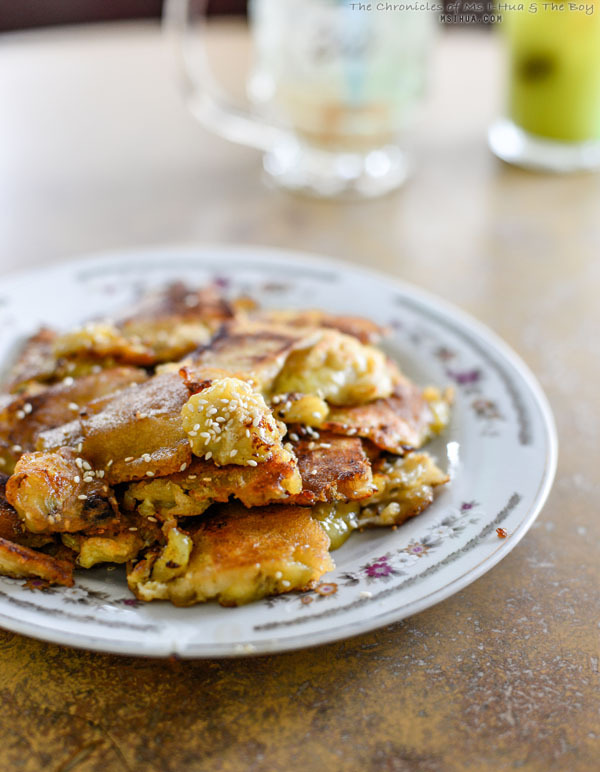 It’s sort of a dying cuisine and kind of hard to find these delightful banana pancakes cooked with margarine and topped with raisins and sesame seeds. This particular Banana Pancake lady has been cooking around Penang for years. Everytime she moved shops, Madam Mummy would somehow be able to track her down and find her at her new location and happy tummies would be satisfied. One visit to Penang, Madam Mummy and Big Sis were happily enroute on their normal journey to find the Banana Pancake lady at her most recent operation point. Alas, shock and dismay, that when they got there, they found out that Banana Pancake lady had unfortunately moved coffee shops and no one knew where to find her. Upon chatting some more with the drinks people, Madam Mummy had managed to obtain Banana Pancake lady’s home phone number and rang her! So it was that they discovered that she had relocated to Sin Kim San Cafe on Macalister Road. Off those two eager beavers went trotting for the heavenly pancakes. 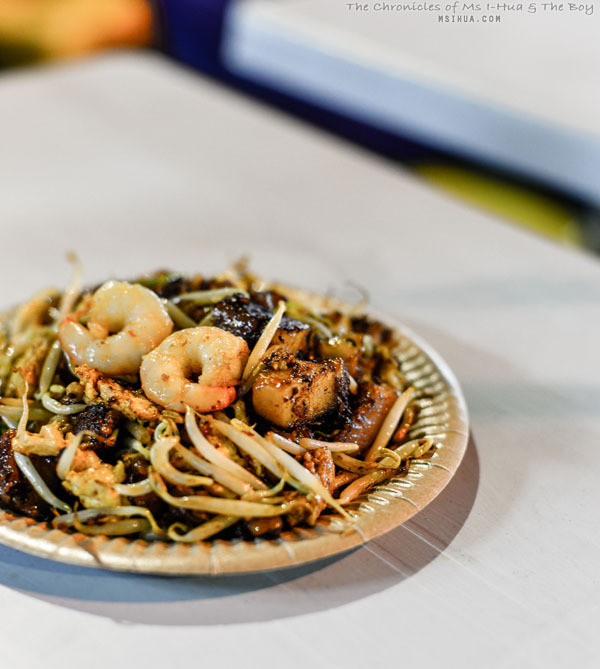 So much so that when they walked into the coffee shop, they completely ignored a very eager Har Mee (Prawn Mee) hawker seller who was about to get up and serve them, thinking that they had come to sample his fare. Imagine his face, when they walked straight over to the Banana Pancake lady and only had eyes on her. It wasn’t until they were half way through their pancakes that they realised that most of the people eating at this coffee shop only had eyes for this Har Mee seller. Apparently, he was the most famous stall in the shop! They promptly rectified their mistake and placed an order for his hot bowl of noodles (pictured above). This time round, Madam Mummy, The Boy and I made no such mistake and ordered from him. TBH I felt the broth was a tad too salty. Loved the inclusion of siu yuk (roast pork) into the noodles though! 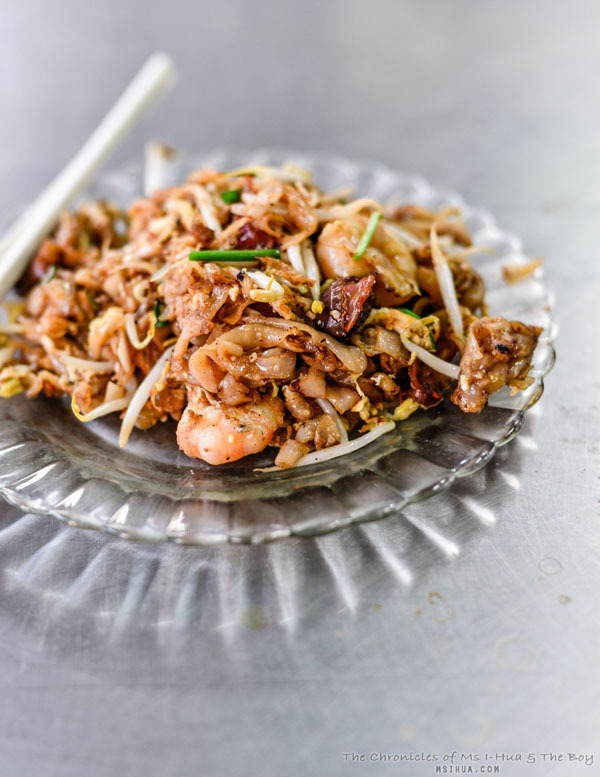 We also tried out one of the many Char Kway Teow available in Penang and found this to be quite tasty. Finally, here’s a picture of the famed Banana Pancakes. We went back twice in our mini Layover visit! The second time, we ordered the larger portion (greedy pigs we were). 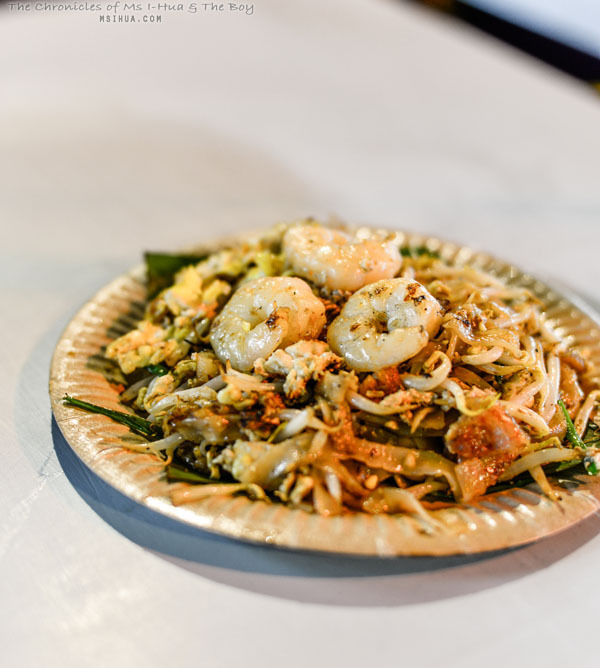 Next up on the list for us (and for The Boy who seemed obsessed to have a plate of Char Kway Teow at every shop we visited) was definitely a trip to Lorong Selamat (Safe Road) for its famed Char Kway Teow. Now, legend has it that there was once only one famous Char Kway Teow stall on this road. However when a certain Red Beret lady made her mark and left to open her own coffee shop further up the road, another one came along to take her place. 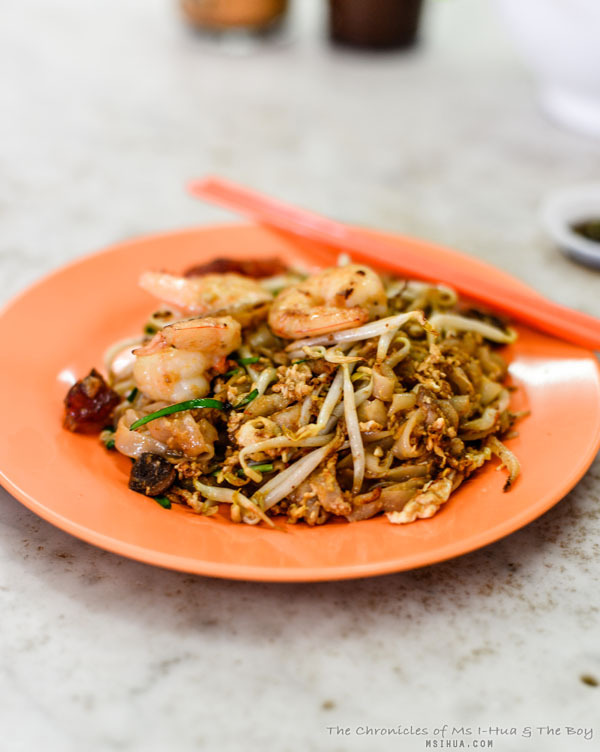 Our cab driver wasn’t sure which Char Kway Teow we wanted on Lorong Selamat (but we would have been safe with either option) and dropped us off at the original location where the legend began. Apparently, this place is famous for its ABC (Air Batu Campur a.k.a. Ais Kacang) which we promptly ignored and only discovered after leaving that afternoon! Dangnammit! 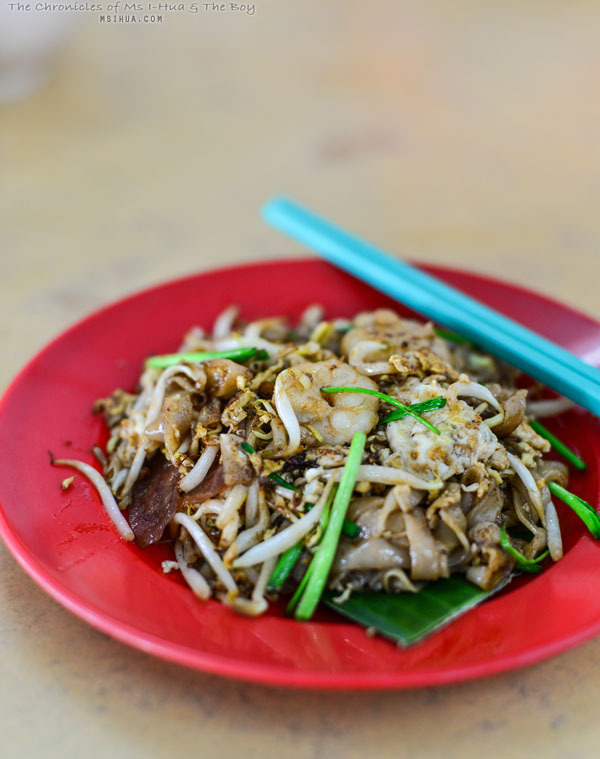 We also tried the Kuey Teow Th’ng at the coffee shop which was quite good. 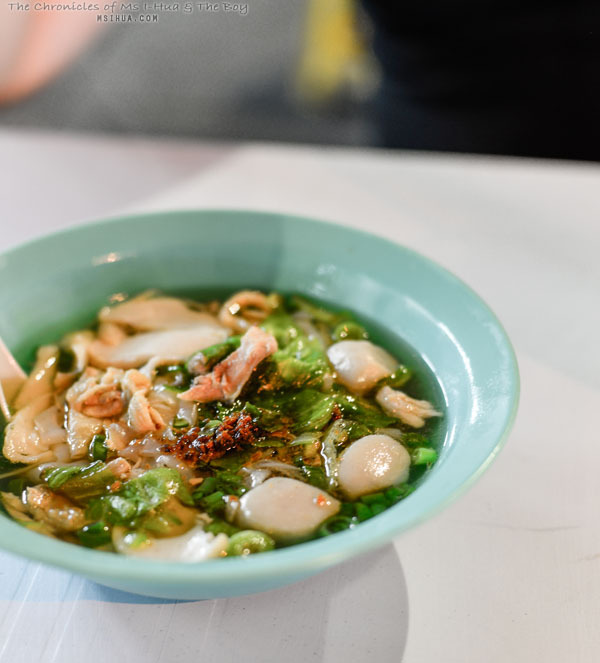 What is amazing about Penang (heck, most parts of Asia and the World) is that if you are feeling hungry past dinner time, you can virtually stroll out to find coffee shops and road sides bustling with people and food. It’s kind of crazy and yet so amazing. We decided to catch our breath before heading back to the hotel to drop Madam Mummy off for the night before heading back out for food, to search for a famous Oyster Omelette stall. Luckily it was just around the corner from our hotel and we didn’t have to go far. 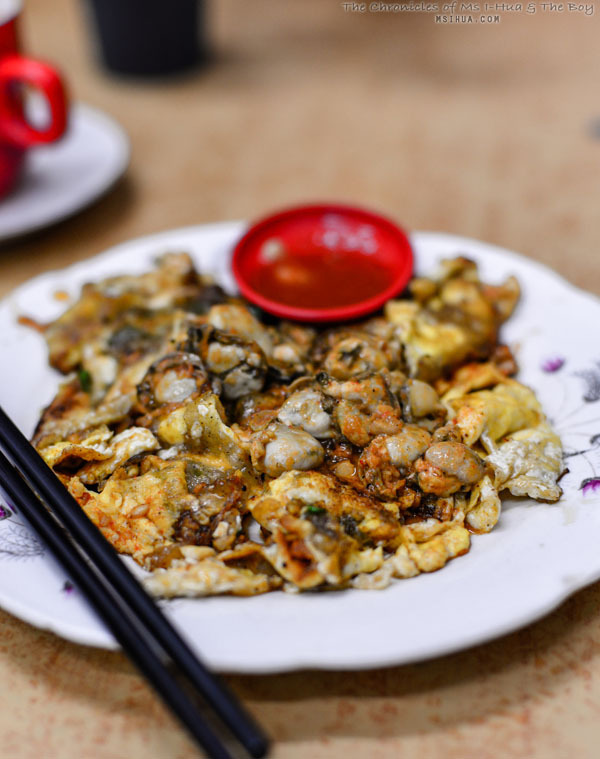 Oyster Omelette or Orr Chien in Hokkien is amazing when it is done right. But more often than not, it can be a complete disaster, especially when sellers try to scrimp on ingredients and add in a lot of starch to thicken the omelette. The freshness of oysters used also plays a big part on the end result. Luckily for us, we tried the famous Yi Garden Coffee Shop which is famous for its Orr Chien, so famous that they even have a video on YouTube depicting the Orr Chien being fried up! So once we dropped Madam Mummy back off to the hotel for the night and we were feeling up to it again for food, we strolled down from our hotel (we stayed at the super convenient Sunway Hotel Georgetown) to New Lane (Lorong Baru) for supper. It was a pretty cruisy experience. We sat at a table and in my broken Hokkien managed to order us drinks and get our drinks guy to order food for us by him shouting to the many sellers on the road. Another meal, another plate of CKT. This wasn’t too bad either. I LOVE PENANG! 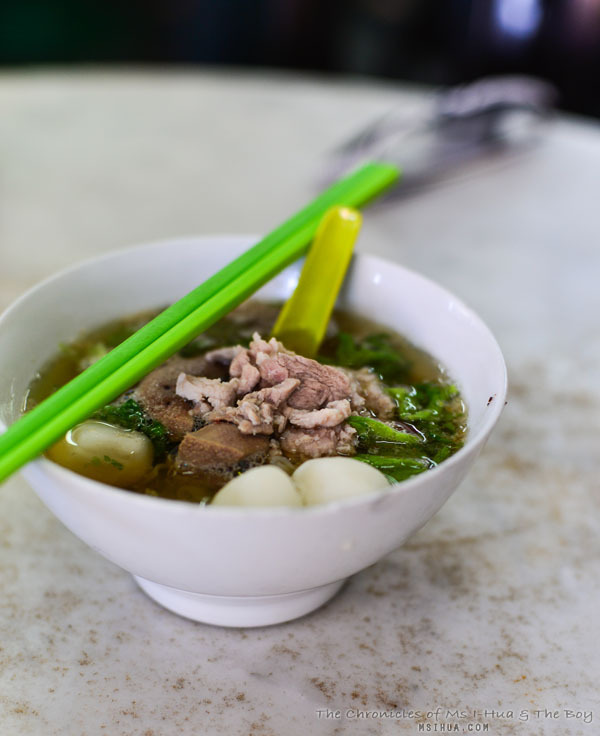 I couldn’t help but order us a bowl of Kuey Teow Th’ng (Flat Rice Noodle Soup) with shredded duck and fish balls (the Penang Style!). Most hawker stalls in KL these days serve this with chicken as duck is much too pricey. This was surprisingly good! We also ordered a plate of Char Kway Kak (Radish Cake) which was the only disappointing dish we had in Penang! Boo! The morning we were about to fly off to Singapore after a crazy but amazingly fun 2 days in Penang, we walked out of our hotel in search for food. Not wanting to stroll far, we decided to try the only coffee shop that seemed to be awake that early Wednesday morning (roughly 7am). As we sat and ordered our drinks for the last time, we noticed an older lady selling Lobak Gou (a.k.a. 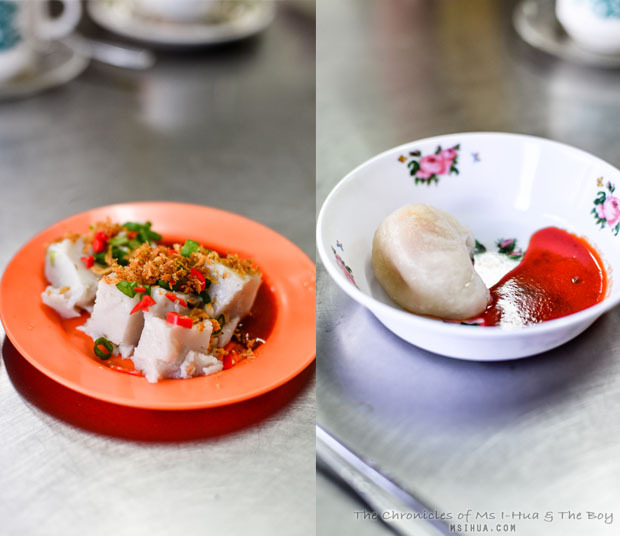 Orr Kueh or Carrot Cake) and Soon Kueh (filled with jicama in a dumpling form). The Orr Kueh was the best we had eaten in a very long time and we especially loved the tiny crispy prawns that came topped in abundance. It was so good we ordered another serve! We also obviously had to order one last CKT for The Boy before we flew off. This was not only cheap, but delicious! He rated it second best after the one from Lorong Selamat. This was a beautiful way to end our eating journey through the island of food. It certainly is where I am glad to have brought The Boy to for a visit with Madam Mummy. A revisit down memory lane for her as well as us creating our very own memories for ourselves. 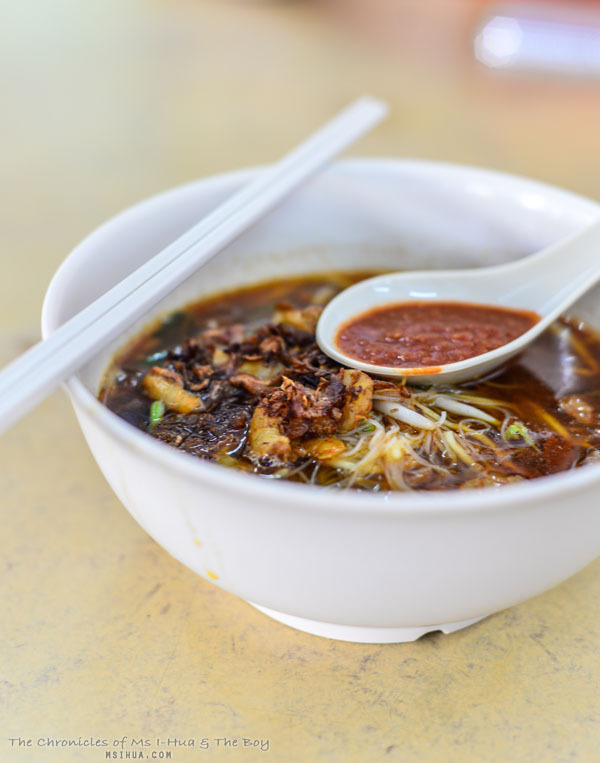 i went to malaysia with a food tour a few years back but didnt get to do as much exploring as i would like, would love to return to do more exploring! I find it so upsetting that my childhood didn’t include a Pancake Lady.